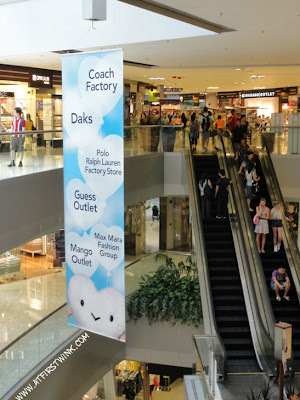 On your last day in Hong Kong before your check-in in the late afternoon or evening and when you have a couple of hours to spare, I recommend stopping by the Citygate outlets mall in Tung Chung. It only takes a 10 minute bus ride from the Hong Kong International airport. From the bus terminal at the airport, you can take the buses S1, S52P, or S64. These buses have a simple circular route, so just getting on the same bus you previously took, can take you back to the airport. The mall is not that difficult to find, since following the large crowd of local residents coming out of the buses and heading to the metro station will suffice. The mall is located right between the bus terminal and the metro station Tung Chung. It is on the left when you come from the bus terminal and on the right when you come out of the metro station, both take about a 2 minute walk. Here you can see the Citygate mascot, a white fluffy hart with a face. What can you buy at the Citygate outlets? This mall has many outlets of brands varying from affordable ones such as Esprit, Mango, Adidas, Sasa and Giordano to higher end brands such as Coach, Diane von Furstenberg, Kookai, Vivienne Tam, Moiselle, Guess, Armani exchange, Polo Ralf Lauren and Tommy Hilfiger. The stores provide year-round discounts of 30% to 70%. So if you think you haven't bought enough clothes yet, you can try to find a good bargain here. The best deals can be found during the main seasonal changes. I once bought a bunch of Esprit t-shirts for HK$30 a piece during the end of August. The mall also has a large Taste supermarket in the basement. You can buy some really tasty, freshly-made mini Lo Po Peng (aka wife cakes) in transparent plastic cases for just HK$10 at the bakery corner, which can serve as souvenirs. 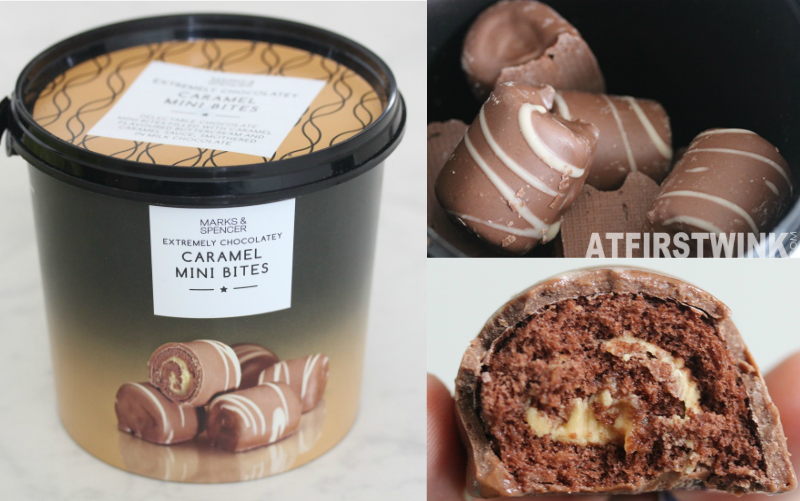 However, you have to make sure that you can give them to your friends within a few days, before it doesn't taste as good anymore. The supermarket also has a small tasting corner with samples of very delicious smelling, dried mushroom soup. Right outside of the supermarket, you can find also find a small Aji ichiban store with an wide range of snacks and candies. What is there to eat ? 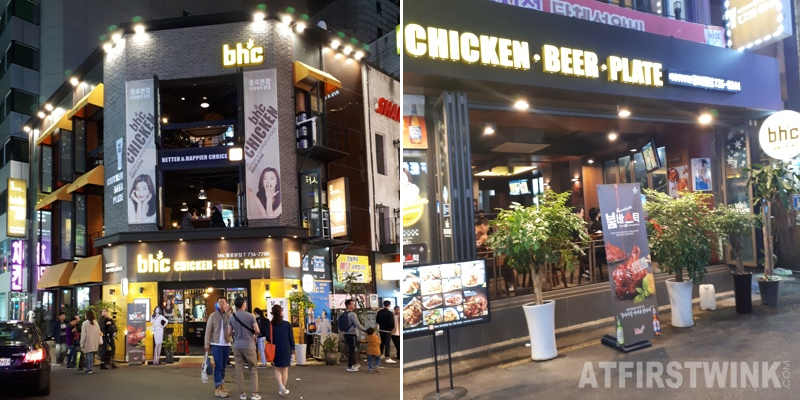 To fill your stomach at an affordable price instead of having to pay the high prices at the airport restaurants, you can find the McDonalds, the Spaghetti house, and several small restaurants here. It has also recently opened a food court with food of different cuisines. 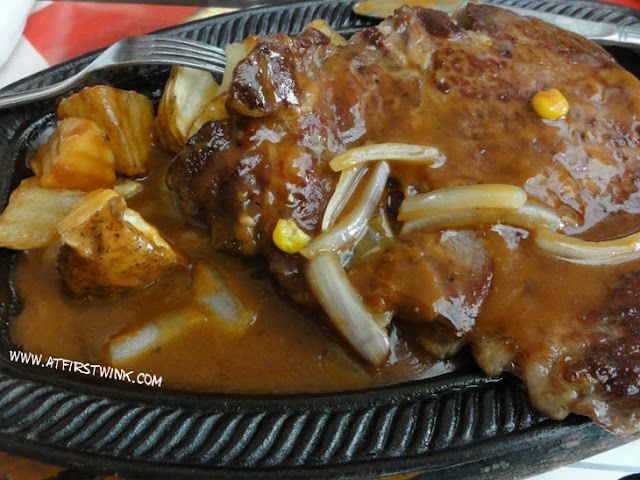 It has a large variety with steak sets, sushi, Taiwanese Hainan chicken sets, Thai food, Chinese dim sum, Indian food, Macau food, Shanghai food, noodles, desserts, and drinks, all for affordable prices. For a meal, you would spend between HK$30 to HK$60. However, I have to add that you should only go here, when you want to fill your stomach with something that doesn't taste too bad and for a low price. I went to this food court twice and I once got a steak set and the second time, I ordered a Hainan chicken rice set. The Hainan chicken rice set had 5 small pieces of tasteless chicken with barely any meat and overcooked rice with the oil resting on the surface of the plate instead of flavoring the rice. The steak sets at the Steak house were a lot better. When I ate there, each plate on the table had at least one big piece of meat with vegetables and potato wedges or fries on the side. It would really suit people with a more Western palette or just guys in general. :) The prepared meat was a very thick piece of pork, but still very tender. The side dishes were very good too, considering this is often where restaurants pay less attention to. You can also choose the sauce over your meat. I took the onion gravy sauce and it was really good. 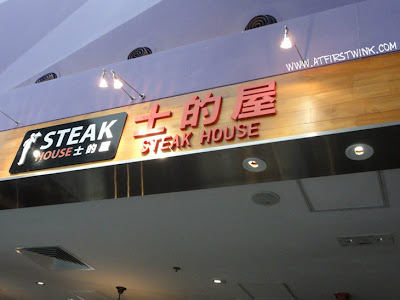 I can really recommend the Steak house, even though the prices are slightly higher compared to the rest of the restaurants located in the food court. The only problem is that at the Steakhouse, as well as at the Xpress teppanyaki, and at the sushi place I believe, you are not allowed to take the food out to the outer sitting area or to take food from other food stands to their tables to consume. This can make it a bit difficult for girls, since I for sure cannot finish all that meat by myself and it would be better if I could order a smaller portion of food at a food stall elsewhere and eat it together with my other friends that ordered steak sets. At the time, I solved it by cutting a part of the pork cutlet and giving it to the other people who were in my company and also happen to have a bigger appetite, before I started to eat. I noticed that these three restaurants located right at the entrance of the food court and with a separate eating area, have better quality food and slightly higher prices. In the inner area - close to the large windows with magnificent views on parked airplanes-, you can walk around and take a tray to fill it with plates of food from different cuisines, desserts and drinks of your choice. There, you can mix and match as much as you like. 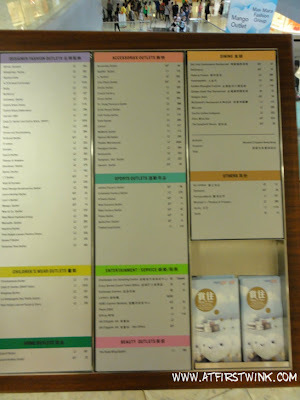 So you can for example, get a plate of Hainan chicken rice set, a piece of Indian bread, a Shanghai dish, some Thai food, some dim sum, a traditional Hong Kong dessert (mango, strawberries with grass jelly) and a fruit shake. You pay at each individual food stand, take the food when it is done, and then find a place to sit. The strawberry and grass jelly dessert I had there was quite okay. The Korean bibimbap and the Shanghai food are said to be quite good, so the quality between the different food stands can differ. As a last tip, do not forget to get a leaflet at the entrance of the mall. It has the recent promotions in them as well as other extra's. When I went there, you could get an additional 10% off at the Adidas outlet on items with already discounted prices by showing this leaflet and redeem a free t-shirt at the customer center after spending HK$800 at the mall. You can also see for each brand how much you need to spend to get additional discounts or presents. This is really nice, because you could for example only need to spend a few hundred HK Dollars more to get a free belt or a bag and you wouldn't even know as they are often not listed prominently in the stores. You can also look for other promotions on their website. Go here to read what my option 2 is on how to spend the last day in Hong Kong. 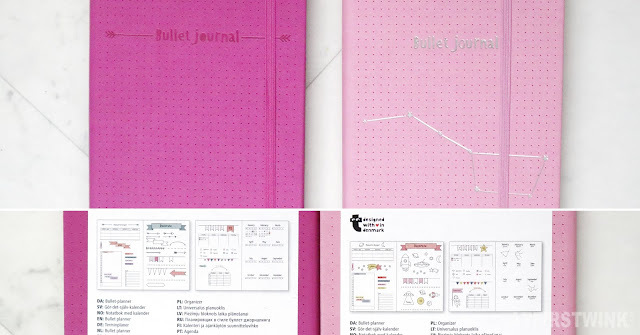 Leaflets can be found at the right bottom corner.